An “autoimmune disease” develops when your immune system (which defends your body against disease) decides your own healthy cells are foreign. As a result, your immune system attacks healthy body cells. 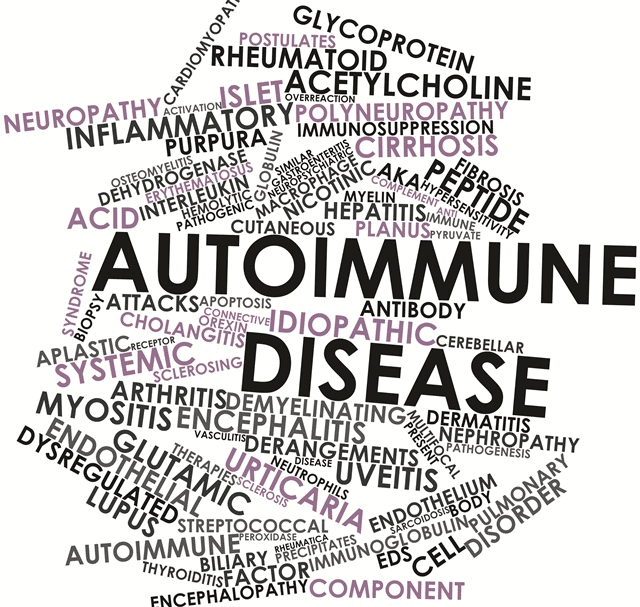 The list of diseases that are said to be autoimmune related are extensive,  and to add insult to injury, people with autoimmune issues often end up with challenging digestive issues. An autoimmune dietary protocol eliminates foods that can trigger inflammation in people with more sensitive digestion that may be autoimmune related. The foods typically eliminated include nuts, seeds, beans, grains, artificial sweeteners, dairy, alcohol, chocolate and nightshades. The remaining foods largely involve vegetables, seafood and animal products. Given that Type 1 Diabetes is an autoimmune condition I have also created a lower insulin load diabetes-friendly autoimmune list of foods that will be more gentle on blood glucose levels. Although sticking to the autoimmune friendly list of foods is restrictive, it is typically very nutrient dense approach as it removes many of the more nutrient poor foods. An autoimmune protocol is often used as a short-term ‘reset’ where inflammatory foods are eliminated for a period. Once things settle down potential other possible trigger foods are slowly reintroduced to see which foods can be tolerated. For more information see Robb Wolf’s The Paleo Solution, Sarah Ballantyne’s The Paleo Approach or Chris Kresser The Paleo Cure. A short list of autoimmune friendly foods is listed below. For a more extensive list of autoimmune food and meals tailored to your goals get your free personalised Nutrient Optimiser report here and select ‘autoimmune’ as a condition. I have been experimenting with a zero carb diet do to a skin condition would love to now your thoughts on that for health benefits and nutritional density. Zero carb seems to be great for people digestive issues who don’t deal well with vegetable fibre. I think optimal nutrition also involves some nutrient dense veggies as well unless you’re doing a lot of organ meats. Zero carb is one of the approaches shown in the bar chart in this post with the nutrient density being midrange. There are 8000 foods in the USDA database, so that could get a bit unwieldy. The next project is to build an app that would automate a lot of this. The AIP eliminates *all* seeds, so alfalfa, curry powder, edamame, poppy seeds, and peas should not be on the list. And paprika is a nightshade, which also should not be on the list.